The Russian book publishing market is even closer to consolidation, as Eksmo, the country’s leading publishing company, has officially taken control of the acquisition of its main rival AST, a process that began in 2012. The official purchase price has not been disclosed, but the current value of AST is estimated at about RUB 12 billion (USD$387 million). According to Oleg Novikov, Eksmo owner, despite the acquisition, AST will continue to operate independently from Eksmo and will keep its own distribution system. In addition, the AST brand will continue to exist. Until 2012 AST and Eksmo were the largest book publishing groups in the Russian market with comparable revenue – 6.5 billion rubles (USD $208 million) and 6 billion rubles (USD $192 million) in 2011, respectively. Both groups specialize in the publication of popular literature and are in the list of the world’s top 50 publishing companies. According to data of the Russian Book Chamber, in 2012, both publishing houses printed 19.1% of all Russian books in terms of circulation and 13.2 % of titles. At present AST is comprised of several book publishing companies, among which are Astrel, East-West, Avanta. The company also operates the Premiere Media magazine publishing house, which offers titles including L’Officiel, Drug, and Hunting among others. In addition, the company also owns such bookselling networks as Bukvoed, AZ and Bukbaster, which total some 450 stores. Russian analysts believe the deal was prompted by financial difficulties that befell AST from the global recession resulting in a large cash gap. In addition, the company has been the target of a criminal investigation related to outstanding taxes of 6.7 billion rubles (USD$214,4 million). The majority of AST employees will keep their jobs. The company will also continue to work with the majority of its authors. The deal has already been approved by the Russian Federal Anti-Monopoly Service. The combined company will account for up to 18% of the Russian book publishing market. At the same time the share of Prosveshenie, Russia’s second largest publishing house, is 9.8%. The deal between Eksmo and AST may result in significant benefits for the entire Russian book market, according to Russia’s leading publishers. According to Arkady Vitruk, head of Amazon Russia and a former CEO of ABC – Atticus, one of Russia’s leading publishing houses, financial collapse of AST and its further disappearance would result in a shrinkage of the market, as publishers would have to compete on a much smaller scale. 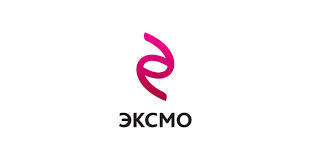 In addition, according to him, the acquisition by Eksmo should help to regulate the current situation with author’ royalties, as, in the race for best authors, AST was willing to pay more money, than the majority of competitors, which significantly complicated life of small publishers. According to Vitruk, merging with Eksmo should stop the mad race for authors in the Russian book publishing market. At the same time, despite all the potential benefits, the deal may still pose a threat to the competition in the Russian market, as there is a possibility that Eksmo may become a single federal player in the Russian book retail. Eugene Gerden is an international freelance writer who specializes in covering global book publishing and bookselling industry.